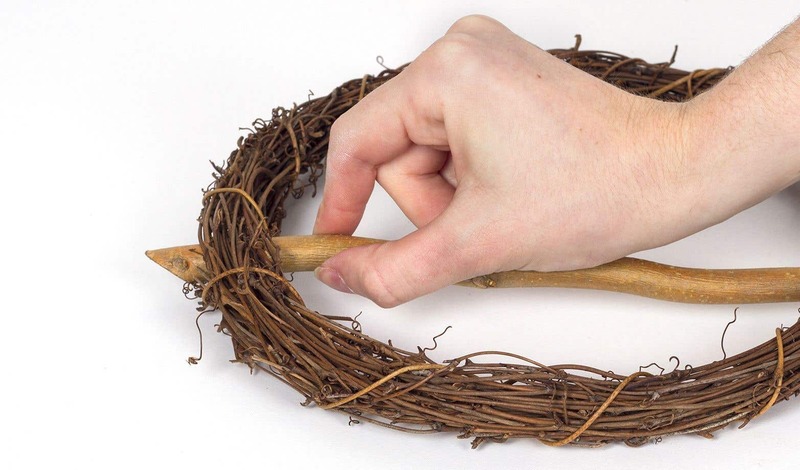 Take one twisted willow stick and push the end through one side of the rattan wreath. Then take the other end of the stick and push it through the other side of the wreath. 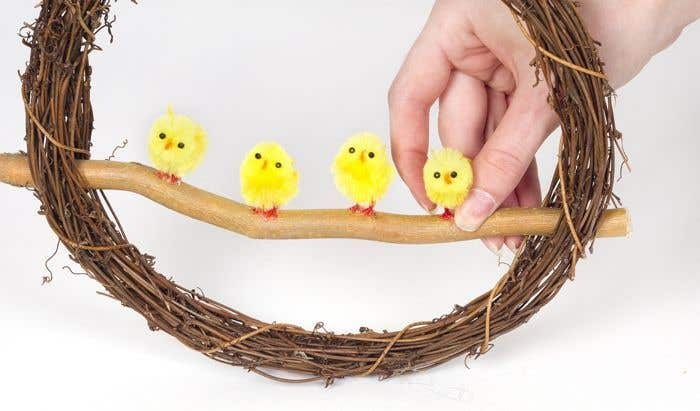 Using the glue gun, carefully put a small blob of glue onto the bottom of a fluffy chick's feet, then hold it on top of the willow stick. Repeat step two with three more chicks so that you have four chicks sitting on the branch. 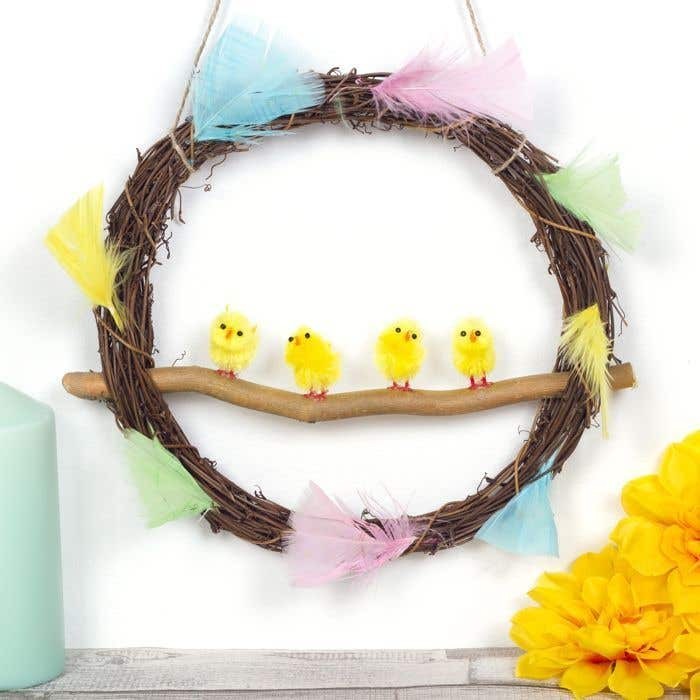 Take a selection of the pastel feathers and place them around the wreath. 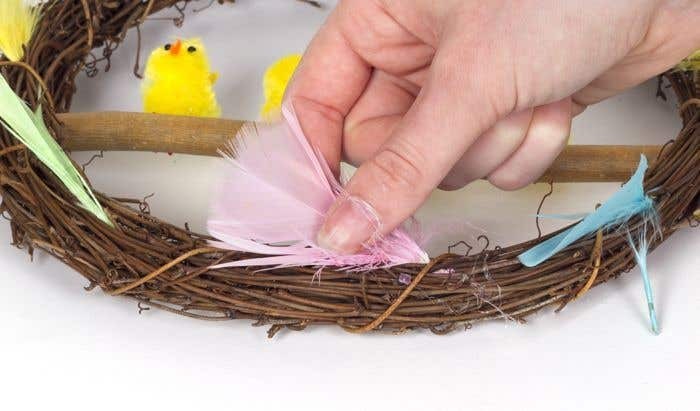 To attach them, simply push the end of the feather in between the branches of the wreath. Tie a piece of twine around the top of the rattan wreath to hang it from. Make sure there is adult supervision when using the glue gun as it can get hot.